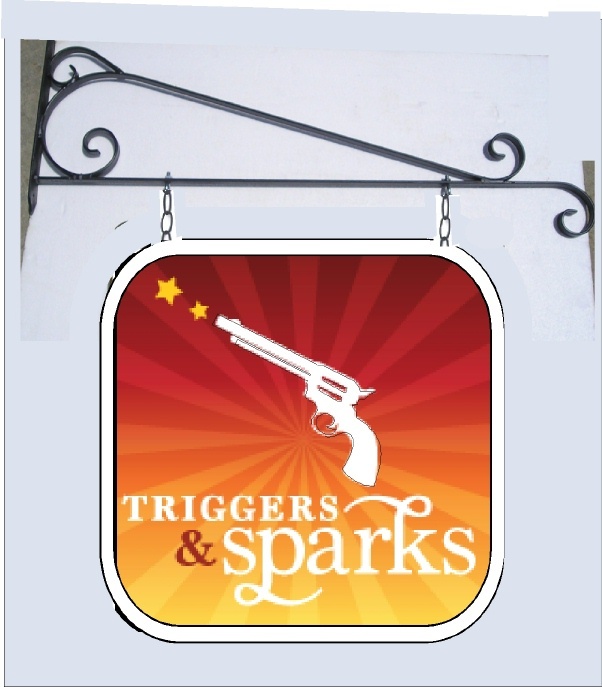 Above is a design for a double face projecting sign carved from High Density Urethane (HDU) for the "Triggers and Sparks " Gun Shop. The text, border and gun are raised and the background is sandblasted in a sandstone texture with different levels for the emanating rays. The sign will be painted with long-lasting automotive-grade enamels and clear-coated twice, making it suitable for all-weather outdoor use. The sign is hung from one of our wrought iron scroll brackets with quick links.